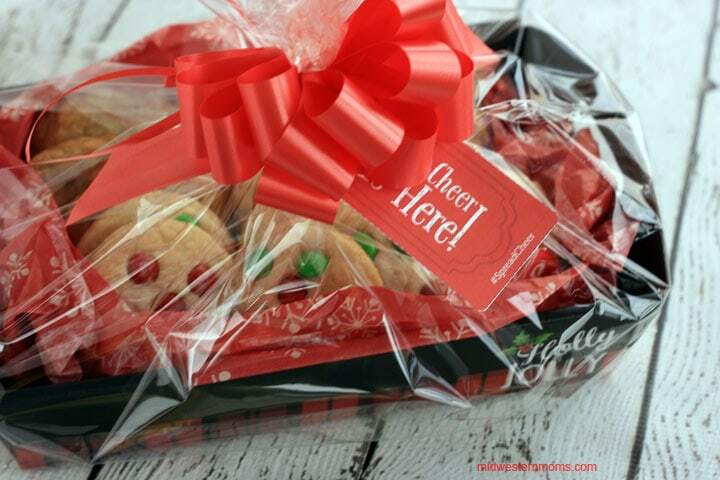 You are here: Home / Recipes / Spreading Cheer with Cookies! ‘Tis the Season to start Spreading Cheer!! What better way to spread the cheer than with cookies! I love making cookies this time of year. Honestly, I rarely make cookies outside the holiday season. This year, I had my oldest son helping me out. We grabbed some Betty Crocker Peanut Butter, Chocolate Chip, and Sugar Cookie Cookie Mixes when we were at Target to make the process easier and not lose out on flavor. When the time came to make cookies, we decided to make the Better Crocker Sugar Cookies but my son wanted to add some candy-coated chocolates. I prepared our workstation with all the ingredients we needed. My son really loved making these cookies since he could basically mix up the cookies himself. 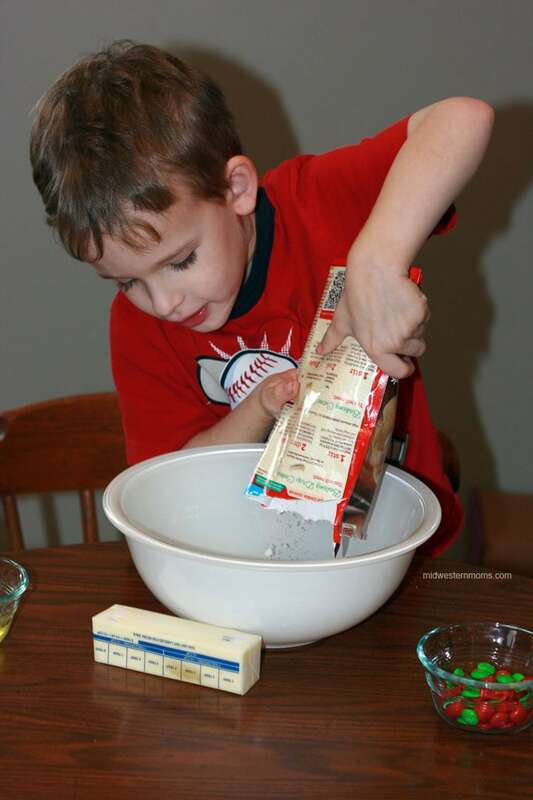 He started to by pouring the mix in the bowl and then adding in the rest of the ingredients. 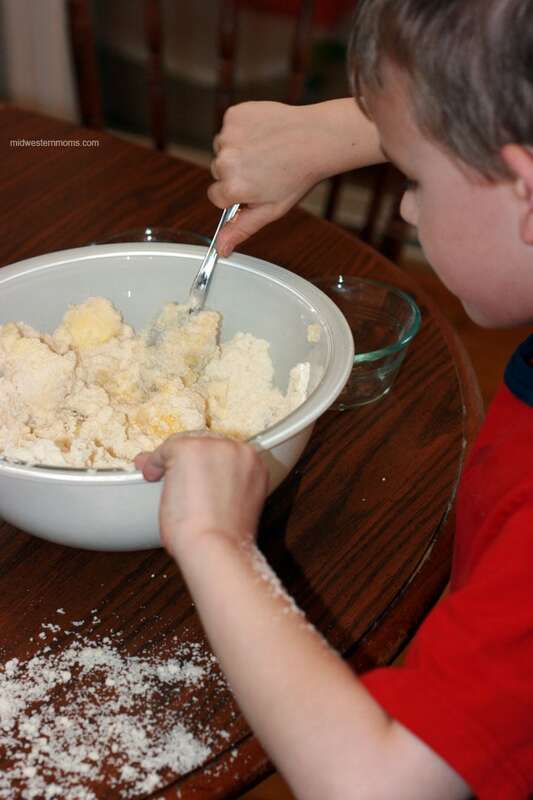 My son was able to mix up the batter with a little bit of help. He also got a bit messy but that is fine. I always say you have to get messy to make something good. It is a good excuse, at least, for the messes I make in the kitchen. We saved the candies to be added after the batter was made according to the directions. Good thing too! My son decided he didn’t want the candies in the batter. He wanted to “build” Smiley faces. 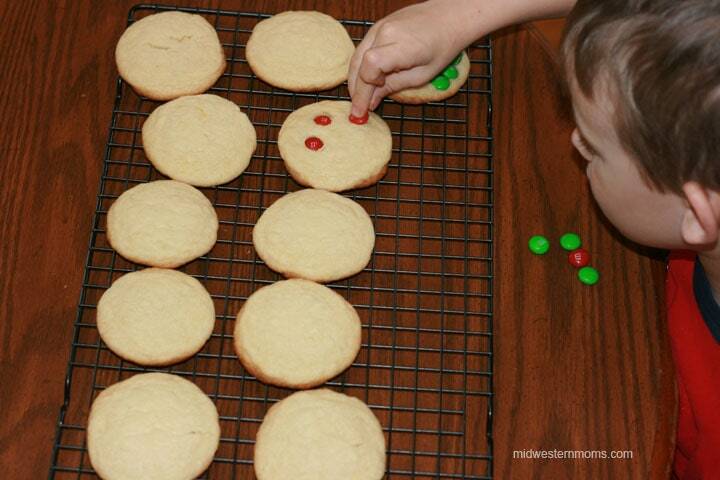 I told him that was a great idea and that we would add them after the cookies came out of the oven. It is import to do this step while the cookies are still warm. 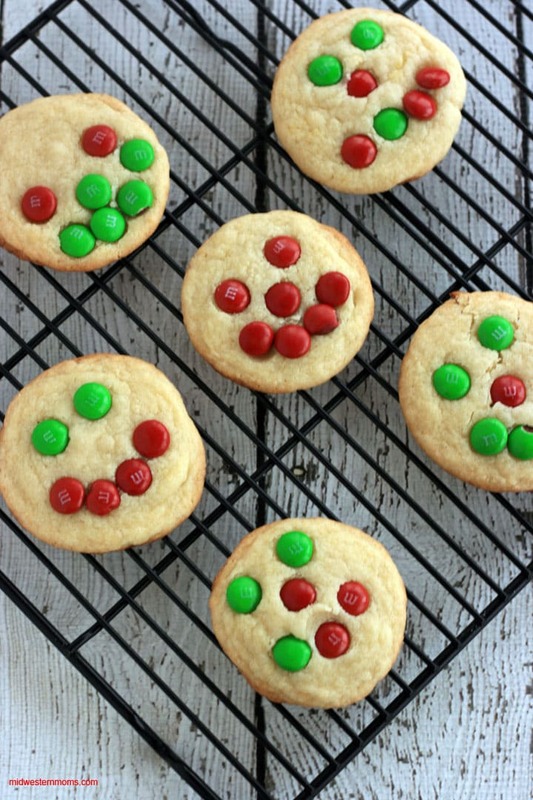 The candies will melt a little to become part of the cookie. The cookies turned out super cute! I was very pleased with my little guy’s idea for the smiley faces. They certainly put a smile on my face. 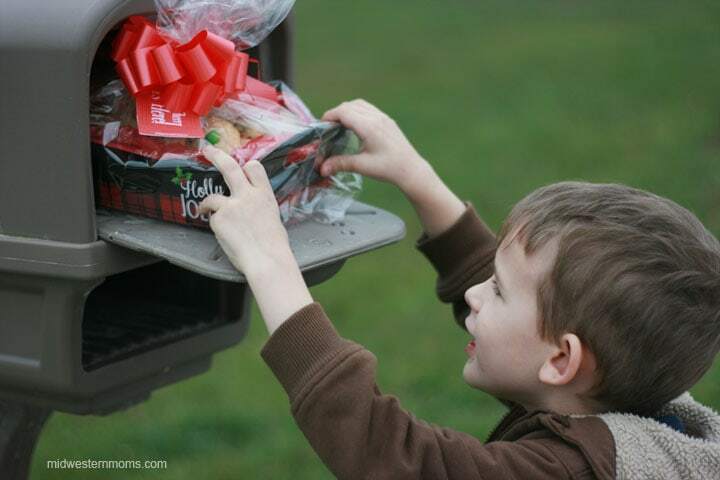 We decided this year we would help spread the cheer and fix up a care package for our mailman. It is getting winter time and he is going to have to start driving through some nasty weather to bring us our mail. Also, he puts up with our dogs when he has to drop off a package. So I put together a nice Cheer package to say “Thank You!” I used these free printable gift tags to add to my cheer package. My son placed the package in the mailbox close to the time when the mailman usually makes his rounds. That way they didn’t sit outside all day long. Now it is time for you to Spread Cheer! Go to Betty Crocker and download your coupon and grab the free printable gift tags. Then make your Betty Crocker cookies and share them with your neighbors, family, or anyone in your life you want to spread cheer to. Make sure you share a photo of your cookies with #SpreadCheer on social media so we can see the Cheer packages you created. 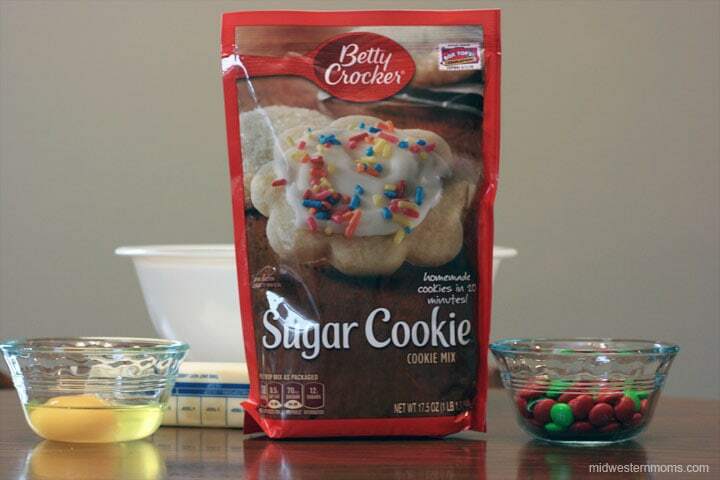 Thank you to Betty Crocker for sponsoring today’s post and helping me #SpreadCheer this season! I can’t wait to make cookies for our mailman too! What a great idea! I would make the reindeer cookies and share them with my neighbors. https://www.instagram.com/p/-rdnKbAJrmMXCHdW35wnzqKUTJ4cIUaw1vHLM0/?taken-by=laborders2000 We made these and took them to the local nursing home this evening. I plan to spread cheer to my mother. She just had eye surgery so she isn’t cooking much these days. They look so yummy! Have a great week ahead! I will spread the cheer to my wife! What fun to have your son help make the cookies. Betty Crocker cookie mixes makes it pretty easy to do fun stuff. Thanks for sharing.